The Socket pendant lamp high is part of the Light collection by ferm Living and inspires with minimalist design as well as playful variety. 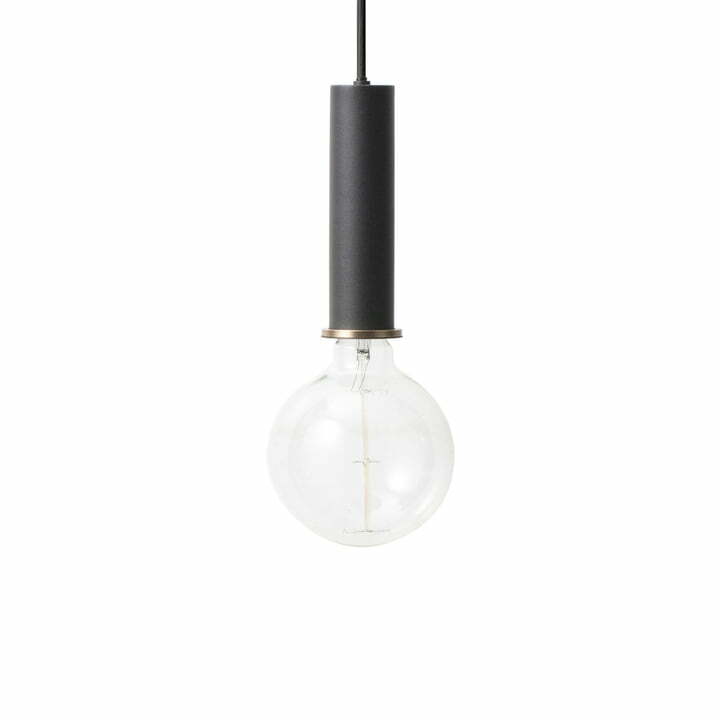 The slender, cylindrical base is made of powder-coated metal and is reminiscent of industrial style, while a small brass ring at the lower end emphasises the elegant character of the lamp. A 3 metre-long fabric-covered cable, which matches the base’s colour, connects the base with the straight-lined shade. different shapes, colours and sizes can be chosen, like with a modular system, so that you can create a lamp based on your individual taste. The Socket pendant lamp always acts as the base, which can be combined with a lampshade of your choice. When arranged in an ensemble with different shape and colour combinations, the lamps will undoubtedly draw everyone's attention. The Socket pendant lamp is equipped with an E27 socket.Lightbulbs aren’t included. 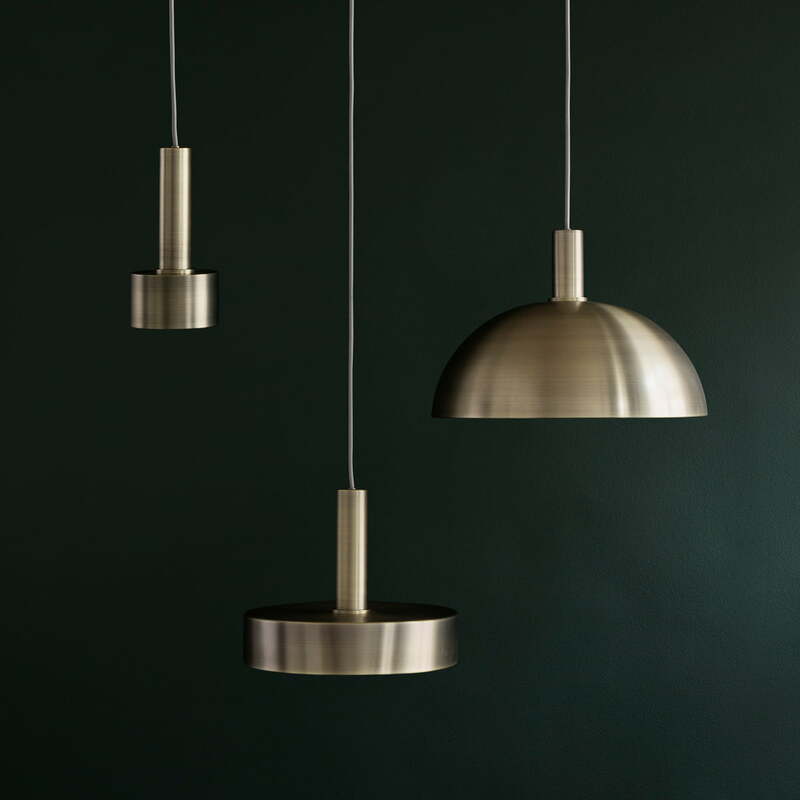 More information Configurator of the Collect Lighting Pendant Luminaires Series by ferm Living. 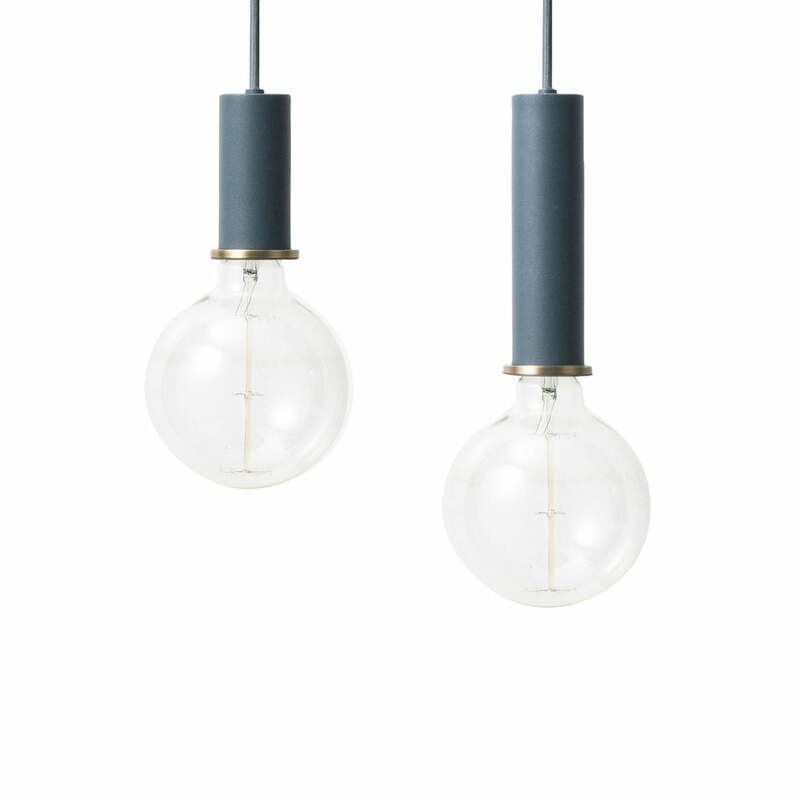 Individual image of the Socket Pendant Lamp by the Danish manufacturer ferm Living. The minimalist light consists of powder-coated metal, complemented by an elegant brass ring. 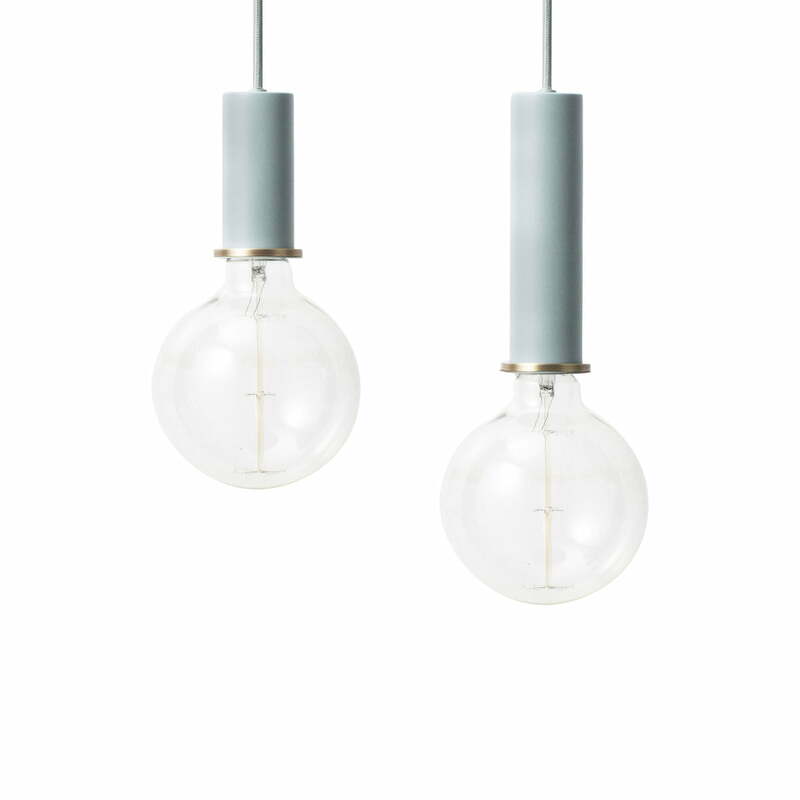 Individual image of the Socket Pendant Lamp by the Danish manufacturer ferm Living. Equipped with a large light bulb in retro-style, the light without shade wins you over immediately. 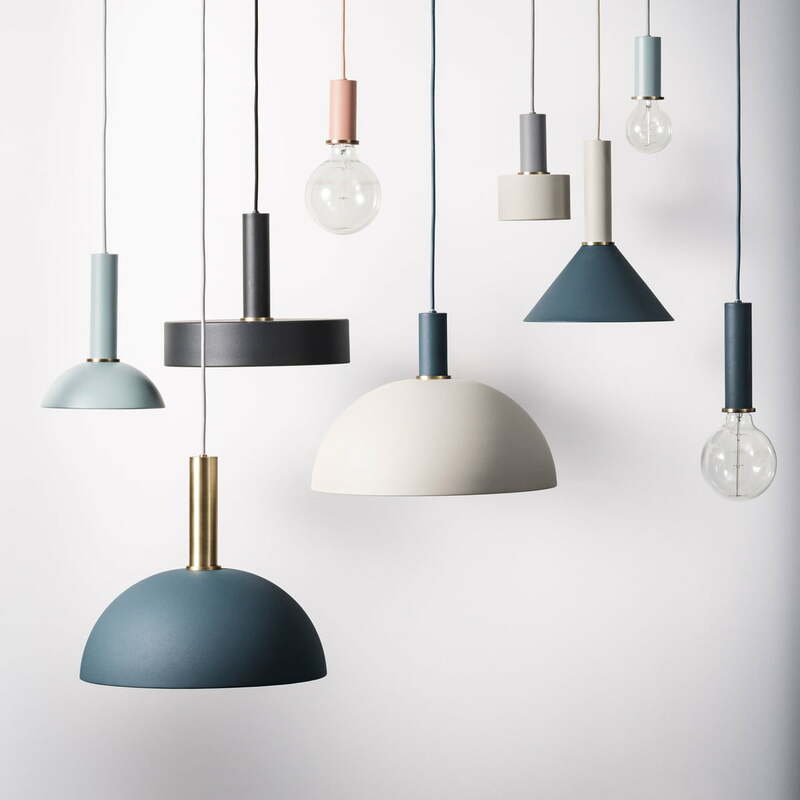 Group image of the Socket Pendant Lamp by the Danish manufacturer ferm Living. The lamp is available with a short and a long socket - for even more possibilities! Group image of the Socket Pendant Lamp by the Danish manufacturer ferm Living. This slightly playful variation in pink and brass puts delicate accents in any room. 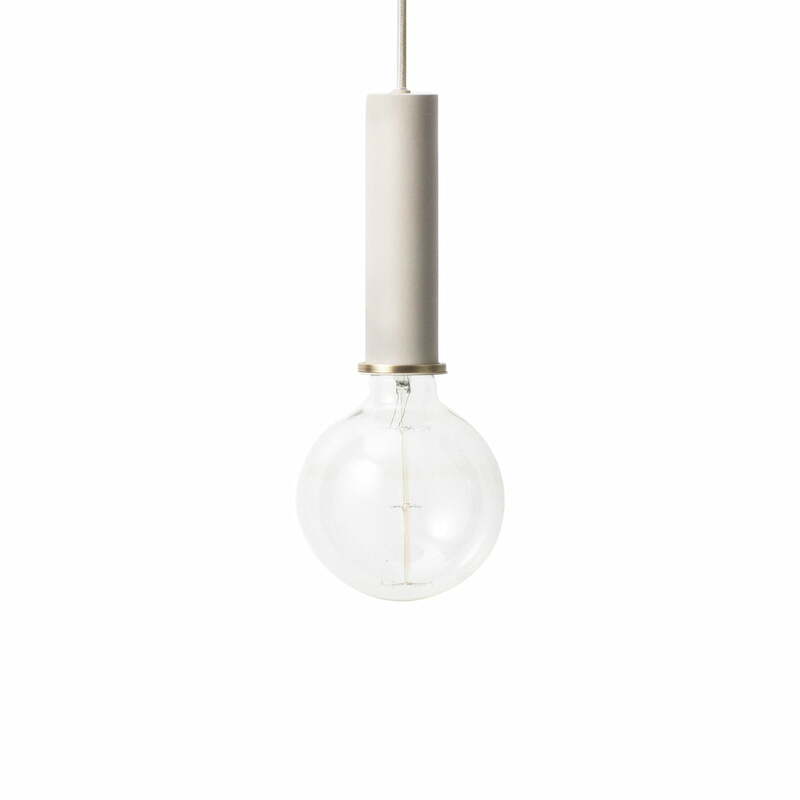 Individual image of the Socket Pendant Lamp by the Danish manufacturer ferm Living. The combination of delicate light blue and brass sets soft accents in any room, also providing for a great eye-catcher. 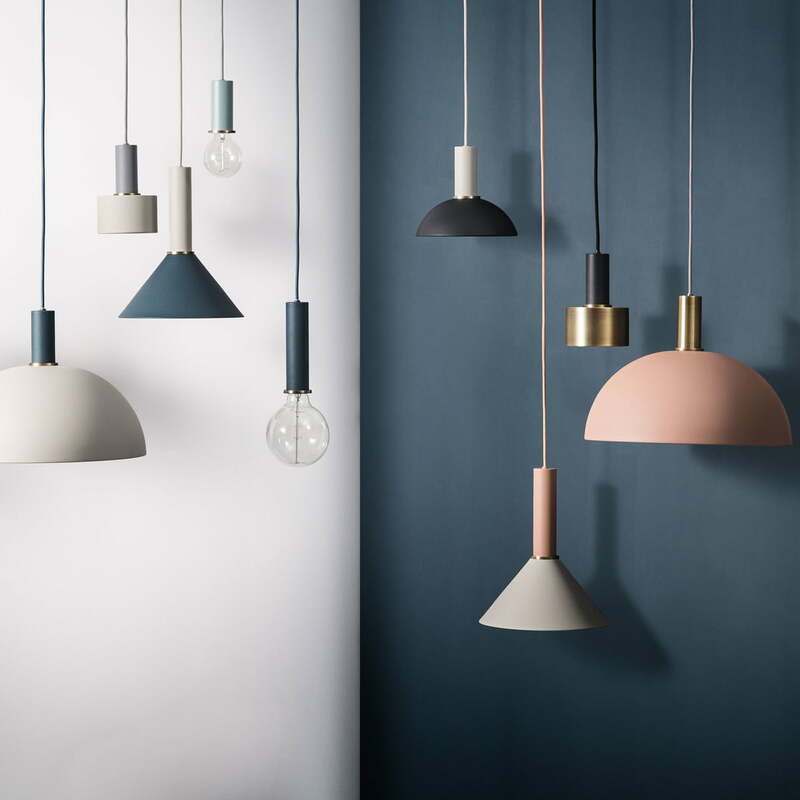 Group image of the Socket Pendant Lamp by the Danish manufacturer ferm Living. But also without lampshade, the pendant lamps have a noble expression in a minimalist style. When arranged in an ensemble with different shape and colour combinations, the lamps will undoubtedly draw everyone's attention. The basis of the Collect Lighting Pendant Lamp Series are the socket pendant luminaires, which can be combined with the lamp shade of your choice. It is a part of the Collect Lighting pendant luminaires series by ferm living. Like with a modular system, the lampshade can be combined with the socket base. 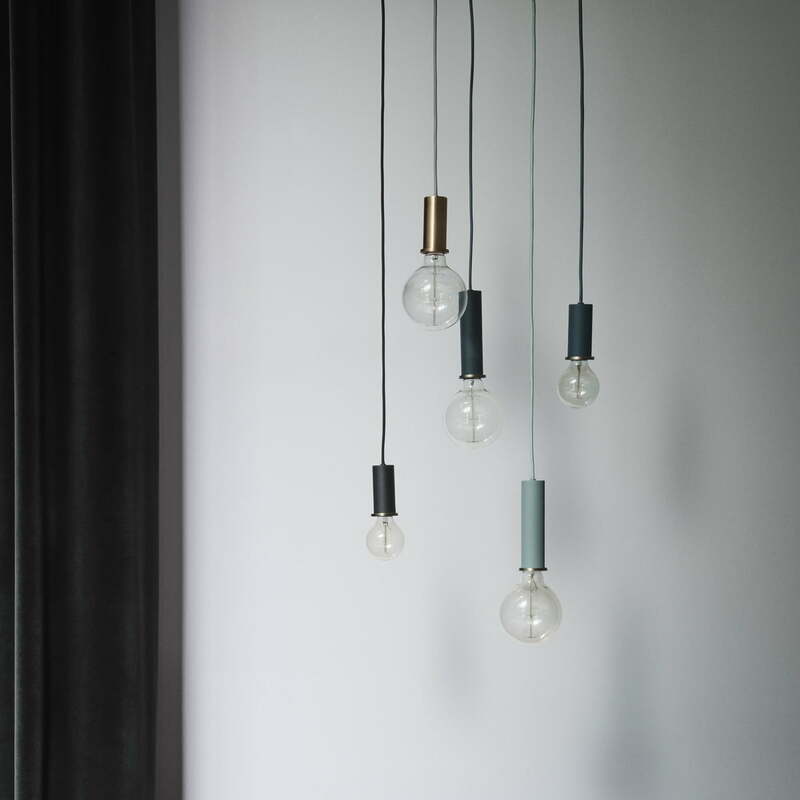 Lifetyle product image of the Collect Lighting by ferm Living in brass. The various lampshades from the Collect Lighting collection have an elegant appearance thanks to the brass.